The Biotechnology and Planetary Protection Group has strategic partnerships with various organizations, industries and institutions. The major commitments to develop new science and technology opportunities and provide accelerated innovation for NASA’s missions fosters strong collaborative relationships and ensures a pipeline to meet future challenges in science, technology, and engineering. While the Biotechnology and Planetary Protection Group cares about microbial contamination, the Contamination Control Group cares about molecular and particulate contamination that can degrade the performance of a part, subsystem, or system. Molecular types of contamination include grease, oil, fingerprint residue, aerosols, organics, and out-gassing vapors from materials. Particulate types of contamination include garment fibers, dust, and smoke. As a result, Contamination Control plays an extensive role in the design, manufacturing, integration, testing and flight phases of each mission. Similar to the Planetary Protection Plan, the Contamination Control Plan details cleaning methods and allowable contamination for each mission. Should NASA decide to bring samples back from Mars, a tight coordination between Planetary Protection and Contamination Control would be necessary for hardware development and assembly, test, and launch operations, to ensure that biological, particulate, or molecular contaminates do not compromise returned sample science investigations. One of the Ames Research Center core competencies is Astrobiology and Life Science. Science payloads developed at Ames that are aboard the ISS, Russian probes, and small satellites, allow scientists to conduct biological research and develop technology necessary to enable NASA’s long-term human exploration missions. Ames is also home to the NASA Astrobiology Institute (NAI) for research, for the investigation about the origin, evolution, distribution, and future of life in the universe. The International Space Station provides a platform for investigating microbes without the constraint of gravity. Research provides useful information for novel drugs and life support capabilities for the next generation of human space flight. ISS crewmembers will collect samples from mouth, skin, and nasal cavity as well as environmental samples from the ISS surfaces and the air. Researchers can then use the data to realize the total microbial communities of crew-associated environments. The methods used allow researchers to determine if any microbial signatures identified (e.g., resistant traits) are of any concern to the health of the crew and the ISS spacecraft habitat. Microgravity is a stressful growth environment. Fungi in these types of environments can produce natural bi-products with potential use in pharmaceuticals. Venkateswaran, Kasthuri, et al. "International Space Station environmental microbiome—microbial inventories of ISS filter debris." Applied microbiology and biotechnology 98.14 (2014): 6453-6466. La Duc, Myron T., et al. "Evidence of pathogenic microbes in the International Space Station drinking water: reason for concern?." Habitation10.1 (2004): 39-48. Venkateswaran, Kasthuri, Myron T. La Duc, and Gerda Horneck. "Microbial existence in controlled habitats and their resistance to space conditions." Microbes and environments 29.3 (2014): 243-249. NASA’s Johnson Space Center primarily serves as a hub for human spaceflight activity (e.g., International Space Station mission operations). The center also provides a curation laboratory for extraterrestrial samples. The Astromaterials Acquisition and Curation Office was established on July 1, 2001. The goal of the office is to support the international planetary science community through curation of extraterrestrial sample collection: Apollo lunar samples, meteorites collected in Antarctica, and samples from upcoming missions. Curation at JSC involves protecting samples from contamination, preserving a portion of each sample for future study, documenting the samples’ handling history and preliminary examination (weight, location, and physical description), providing sample information to the public, and distributing samples to scientists around the world for study. 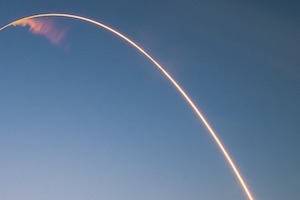 The office also invests in forward planning efforts for all funded and proposed sample return missions, and research and development, in support of current and future sample curation (e.g., robotic curation and detection of trace-level organic and microbial contamination). La Duc, Myron T., et al. 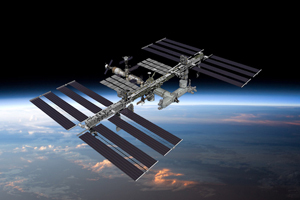 "Evidence of pathogenic microbes in the International Space Station drinking water: reason for concern?." Habitation 10.1 (2004): 39-48. NASA's Center of Excellence for launch and payload processing systems. Benardini, James, et al. International Space Station Internal active thermal control system: an initial assessment of the microbial communities within fluid from ground support and flight hardware. No. 2005-01-3094. SAE Technical Paper, 2005. Benardini, James N., et al. "Spore UV and acceleration resistance of endolithic Bacillus pumilus and Bacillus subtilis isolates obtained from Sonoran desert basalt: implications for lithopanspermia." Astrobiology 3.4 (2003): 709-717. La Duc, Myron T., et al. "Microbial characterization of the Mars Odyssey spacecraft and its encapsulation facility." Environmental microbiology 5.10 (2003): 977-985. Link, L., et al. "Extreme spore UV resistance of Bacillus pumilus isolates obtained from an ultraclean spacecraft assembly facility." Microbial ecology47.2 (2004): 159-163. VVenkateswaran, Kasthuri, et al. "Bacillus nealsonii sp. nov., isolated from a spacecraft-assembly facility, whose spores are γ-radiation resistant. "International journal of systematic and evolutionary microbiology 53.1 (2003): 165-172. Newcombe, David A., et al. "Survival of spacecraft-associated microorganisms under simulated martian UV irradiation." Applied and environmental microbiology 71.12 (2005): 8147-8156. Schuerger, Andrew C., et al. "Rapid inactivation of seven Bacillus spp. 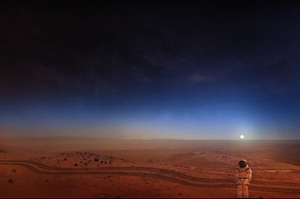 under simulated Mars UV irradiation." Icarus 181.1 (2006): 52-62. One of the ways in which NBACC worked closely with JPL was to help identify the possible presence of B. anthracis (Anthrax) on board the International Space Station. Bioinformatics capabilities at NBACC allowed researchers to conclude that the samples collected from the ISS were not B. anthracis but rather a new species, B. issensis. The mission of the U.S. Department of Energy Joint Genome Institute (DOE JGI) is to advance genomics in support of the DOE missions related to clean energy generation and environmental characterization and cleanup. The University of California operates the DOE JGI and provides integrated high-throughput sequencing, DNA design and synthesis, metabolomics, and computational analysis. In collaboration with DOE JGI, the Biotechnology and Planetary Protection Group at JPL published the first “viability linked” metagenomics analysis of spacecraft cleanroom environments. Weinmaier, Thomas, et al. "A viability-linked metagenomic analysis of cleanroom environments: eukarya, prokaryotes, and viruses." Microbiome 3.1 (2015): 62.